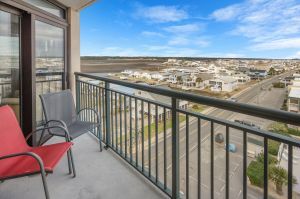 In picturesque North Myrtle Beach, South Carolina is a high-rise condo resort that boasts oceanviews and an oceanfront swimming pool and sundeck. 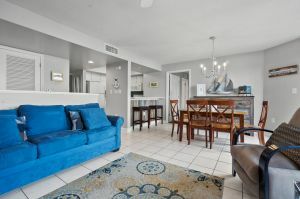 Beachwalk Villas 208 is a condo rental with two bedrooms, two baths and a well equipped kitchen. 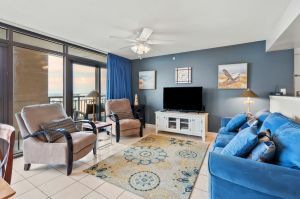 The wall of floor-to-ceiling windows and sliding glass doors in this North Myrtle Beach vacation rental lets the cheery sunshine inside while giving your family a glimpse of the Atlantic Ocean located right across the street. 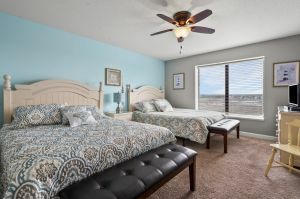 The inlet is on one side of the resort and the ocean is on the other, putting this North Myrtle Beach vacation rental between two tranquil bodies of water. 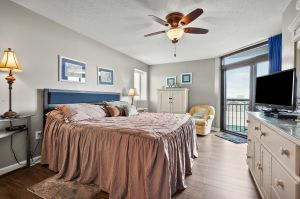 The master bedroom of this North Myrtle Beach vacation rental enjoys access to the balcony so getting up early and watching the sunrise during your vacation at Beachwalk Villas 208 just might happen naturally. 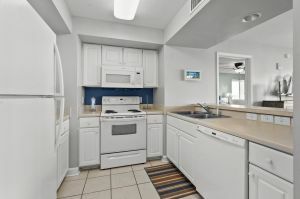 This North Myrtle Beach condo features WIFI, a DVD player and a washer/dryer for your convenience. 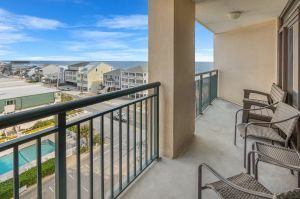 The swimming pool for this condo in North Myrtle Beach, South Carolina is across the street at the oceanfront pool deck. 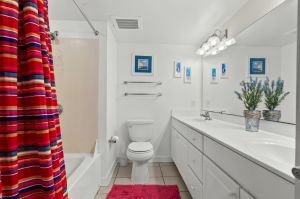 You will also find an indoor hot tub, covered pool, game room and a fitness center at Beachwalk Villas Resort. 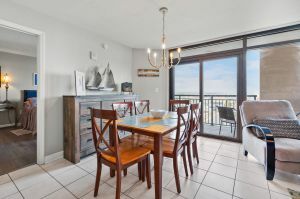 The beach is literally steps away from your poolside lounge chair and more than 100 Myrtle Beach golf courses are only minutes away from this condo in North Myrtle Beach. Shopping, dining, live shows and family attractions are right around the corner from this resort that is beautifully located in the Cherry Grove section of North Myrtle Beach, South Carolina!